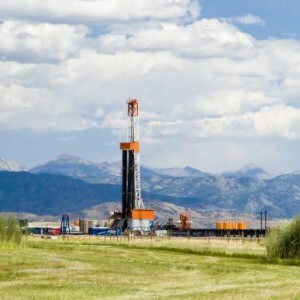 Historically, Wyoming has focused its best air quality controls in the areas with the most drilling. In the past this has meant the state has implemented controls in the southwest corner of the state that led the nation. This has included requiring reduced emission “green completions” on new oil and gas wells, frequent inspections using accurate, instrument-based technologies to detect and fix pollution leaks, and requiring cost-effective, nationally leading controls on things like pumps, glycol dehydrators and tanks that are among the largest sources of harmful pollution. It’s now time for the state to continue this tradition by expanding these sensible pollution control requirements statewide in order to capture the new drilling hotspots. Fortunately, state regulators have an excellent playbook that could be quickly implemented statewide. The strong, sensible controls the state is in the process of implementing across the UGRB could be quickly implemented on a statewide basis. New areas feeling the brunt of the boom in oil and gas drilling should benefit from the lessons the state has learned in the Upper Green River Basin. Taking these pollution controls statewide will help level the playing field for producers and offer the same strong level of health protection to all Wyoming residents. They also make good business sense. It’s a fact that it is almost always less expensive to prevent pollution than it is to clean it up. The state, therefore, has an opportunity here to apply cost-effective pollution controls upfront and do it right from the start. And many of these technologies would actually save the industry money over time. A recent report that EDF commissioned from the independent consulting firm ICF International shows that approximately 40 percent of hydrocarbon emissions from the nation’s oil and gas sector could be eliminated by 2018 at a total cost of just one penny per thousand cubic feet of gas produced. So, not only are these controls good for local air quality and the health of residents, they are good for the production companies’ bottom lines as well. In the third reel of westerns, impending problems were often narrowly averted when the heroes saddled up and headed them off at the pass. When it comes to protecting air quality and the health of residents, that’s exactly the same opportunity the Cowboy State has here. Regulators, let’s ride. This entry was posted in Air Quality, Methane, Natural Gas, Wyoming. Bookmark the permalink. Both comments and trackbacks are currently closed.